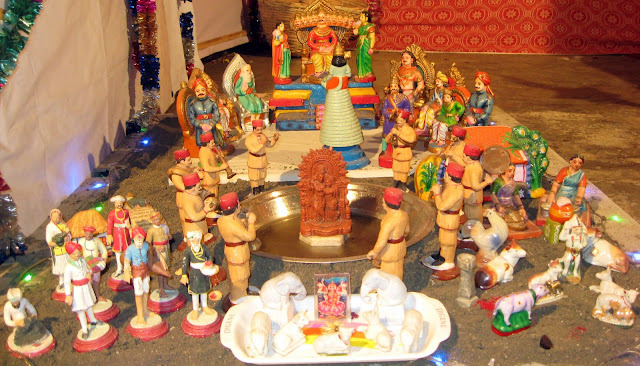 The Last Kolu Pics for this year! 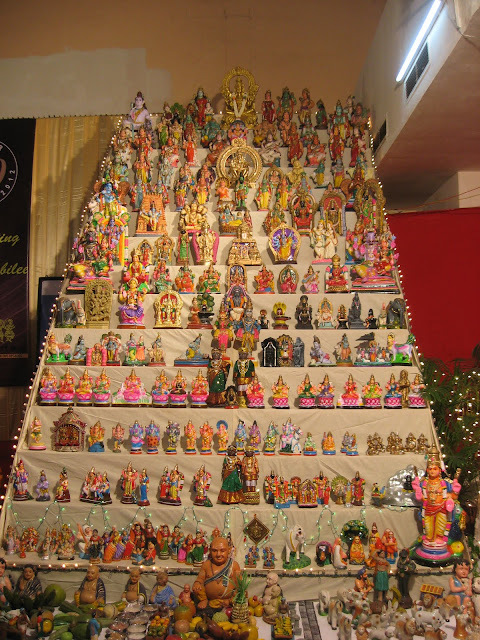 The Fine Arts Society, Chembur, has a mammoth 15 steps Kolu which draws visitors over all the ten days of the festival. 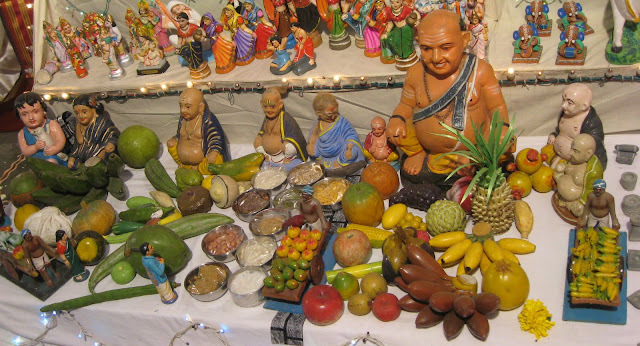 Besides, there is also usually an interesting decoration based on a theme. 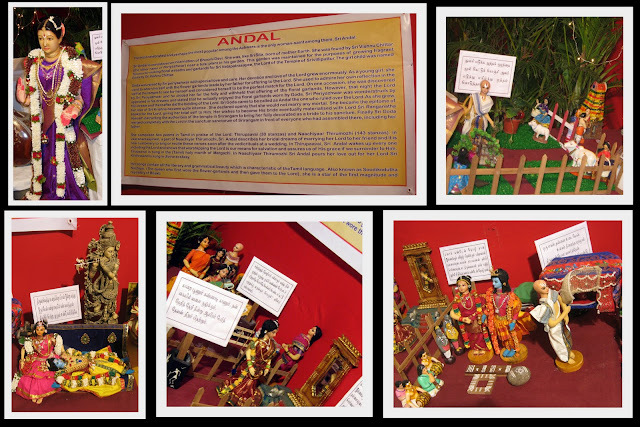 This year, the theme was a dual one - Of Andal and Meera, represented picturesquely with handmade dolls! Andal's is a similar story. She is the poetess saint of the south, who loved the Lord, and considered him to be her spouse. 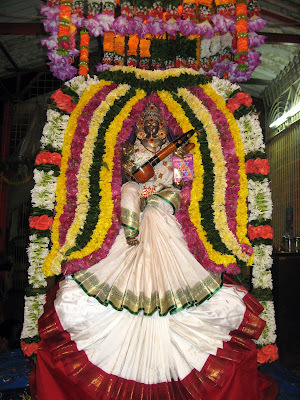 As with Meera, she too merged with the Lord, all decked up as a bride. 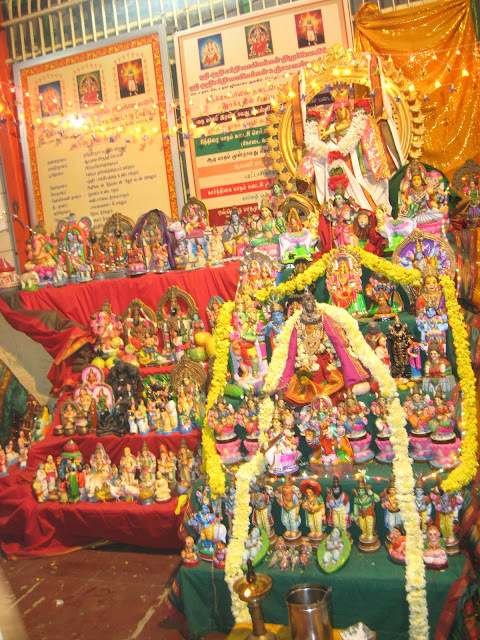 Many Vishnu temples have sanctums dedicated to her. Dashavataram - featuring Ganesha!!!! Interesting depiction, right??? This is half Ganesha and half Hanuman... I have never seen one like this. Have you? 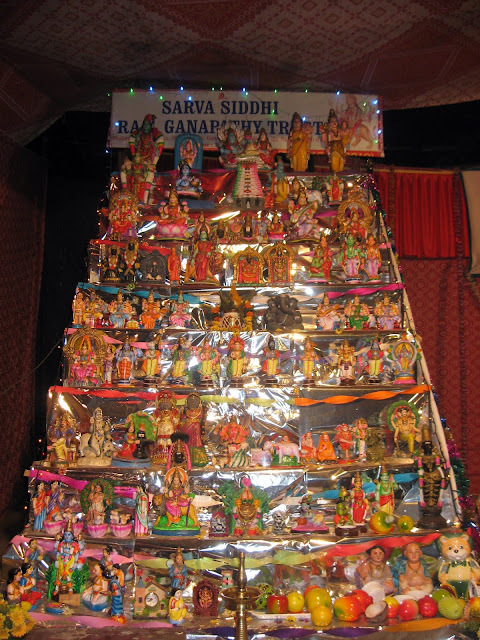 Wow, read all your posts on Navratri. 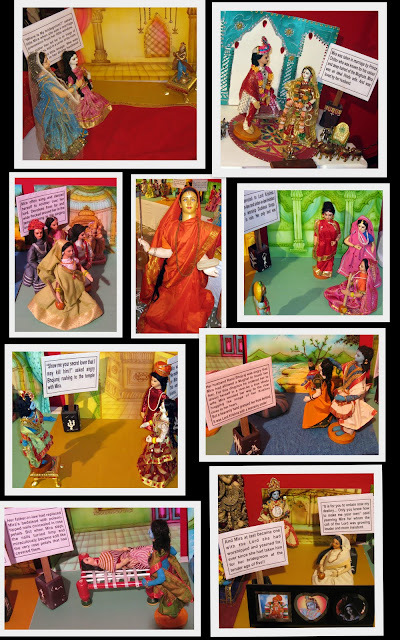 Lovely pictures and excellent documentation. Thanks for sharing! Thanks Madhu.. didnt know that.. first time i saw such a doll!